French Connection is a global manufacturer of clothing, accessories and homeware that distributes through its own stores in the UK, US and Canada as well as franchise and wholesale arrangements globally. 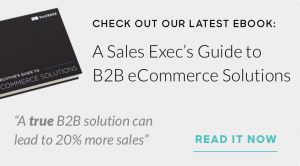 While French Connection onboarded its first B2B platform in 2013, they soon realized it fell short in a few major ways. French Connection turned to NuORDER for more advanced reporting capabilities, better quality leads and attentive customer support to help grow their revenue and increase efficiency. 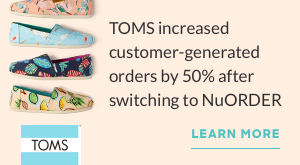 To learn more on how NuORDER helped French Connection take their wholesale to the next level, click here.